Get ready for some extraordinary news! Ladies and gentlemen, boys and girls, the legendary band of none other than Prince himself is re-forming!! 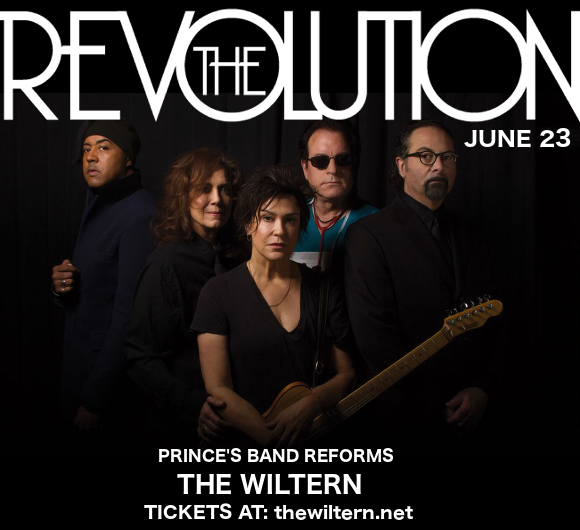 That’s right, for a limited number of shows only The Revolution are getting back together to pay their own tribute to the much-loved pop star. The Wiltern will play proud host to the iconic musicians on Friday 23rd June 2017 – it's going to be a phenomenal experience. Tickets in high demand so don’t delay – book your tickets to see The Revolution today!! Formed in Minneapolis, Minnesota, in 1979, the original line-up of The Revolution consisted of Prince, Matt Fink, Bobby Z, Lisa Coleman, Brown Mark, Wendy Melvoin, a group notable for its diversity of race and gender among its members, highly atypical of the time! Known for their diverse style, incorporating the genres of rock, blues, funk and psychedelia, the group rose to worldwide prominence with their first album together “Purple Rain,” Prince’s sixth overall. Widely regarded as Prince’s best album and one of the greatest albums of all time, “Purple Rain” has today sold over 25 million copies across the world. Together, the group released two studio albums, two soundtracks, and two videos, achieving 6 top 10 singles on the Billboard Hot 100 and winning 3 Grammy Awards before their break-up in 1986. Now, in the wake of Prince’s passing last year, The Revolution are re-forming to pay tribute to Prince’s legacy. It’s going to be a show like no other, so don’t delay!! Book your tickets to see The Revolution today! !